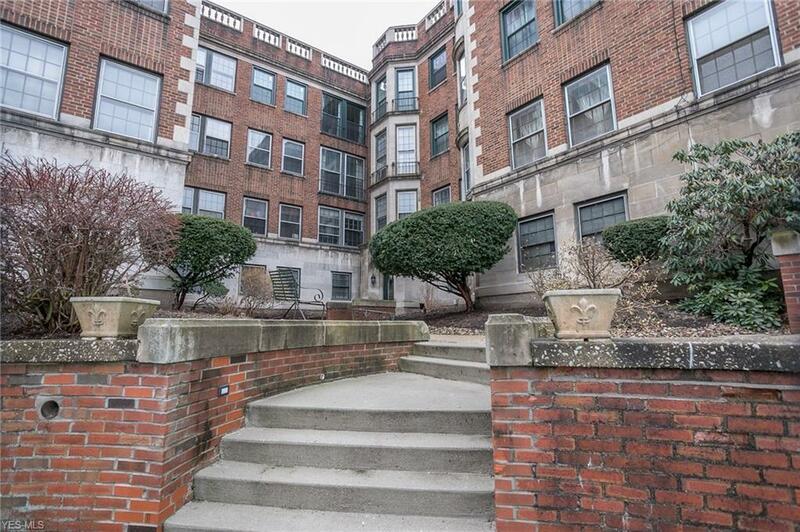 Exceptional location and opportunity. 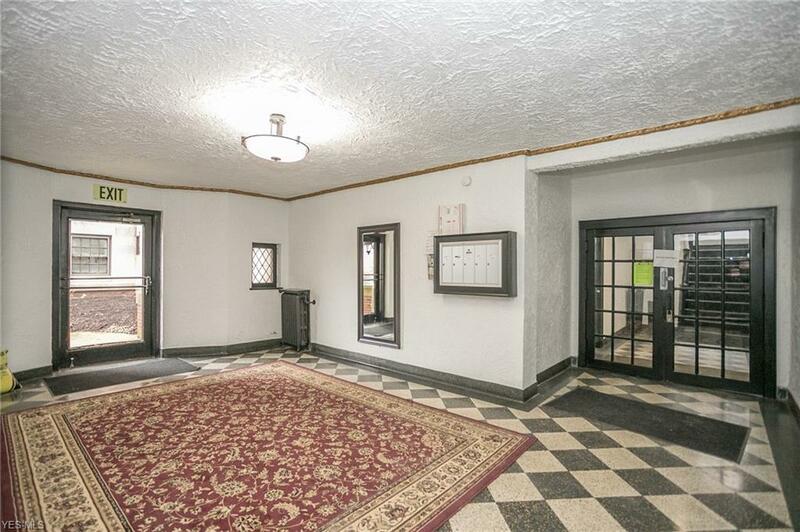 Wonderful 1 bedroom condo in a historic building. 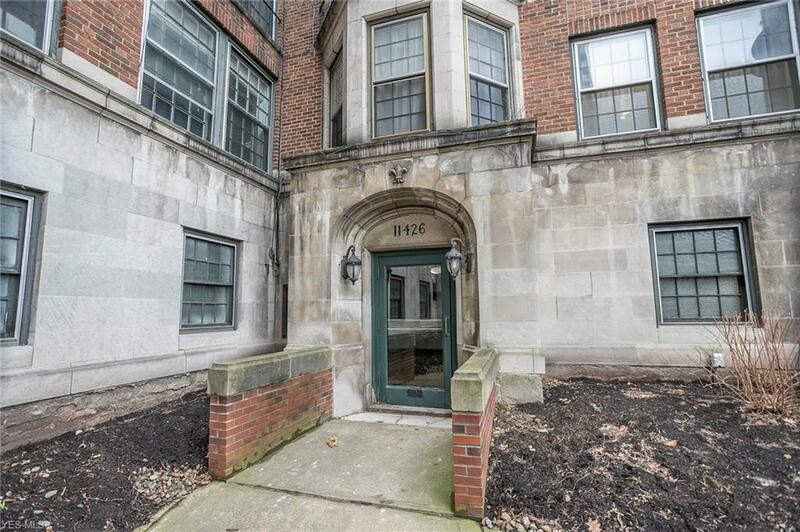 Walking distance to Little Italy, Case Western Reserve University campus, University Hospital, Cleveland Clinic, the Rapid Transit System and all that University Circle has to offer!!! All furnishings and furniture are negotiable. Neutral decor throughout, this meticulously well maintained property boasts; spacious rooms, 9 ft ceilings, gleaming hardwood floors, gorgeous crown molding and loads of natural sunlight. Formal dining room. 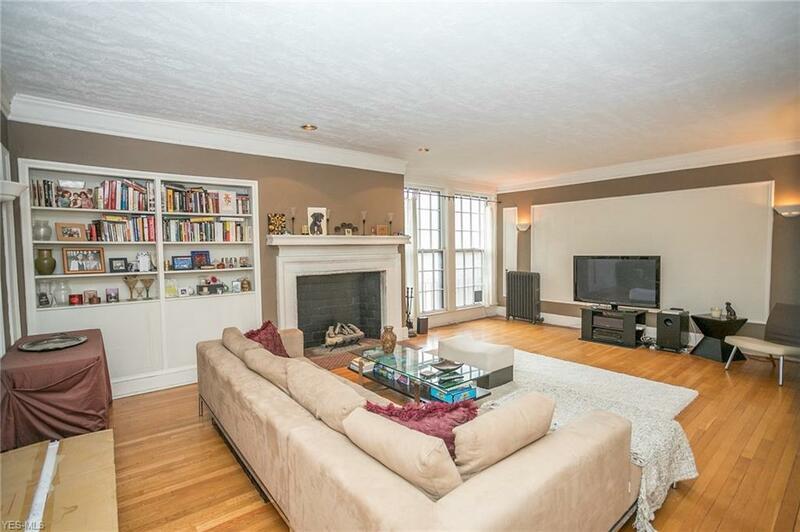 Large living room with a beautiful gas fireplace. Kitchen with ample cabinet/counter space - all appliances stay. Sprawling master. Convenient in suite laundry - stacked washer and dryer stay. Central Air installed 2010. Renovated shower 2018. Covered parking. Home Warranty. Water, sewer and gas included in the HOA fee. Access to Doan Brook ravine is a short walk to the end of Ambleside - you can hike or mountain bike all the way to shaker Lakes and beyond - Mother Nature's little secret in the city... Possible unit expansion w/ D6 directly above this unit also for sale see MLS # 4067993. This property qualifies for a grant from the Greater Circle Living Program through the Fairfax Development Corp (Forgivable loan up to $30k for qualified applicants).